It was a wonderful mid-summer Saturday morning. If you don’t sleep in too late the weather is just a bit cool and perfect for doing outdoor work. I had lawn mowing ahead of me and I was looking forward to sipping a drink afterwards while admiring a manicured lawn. 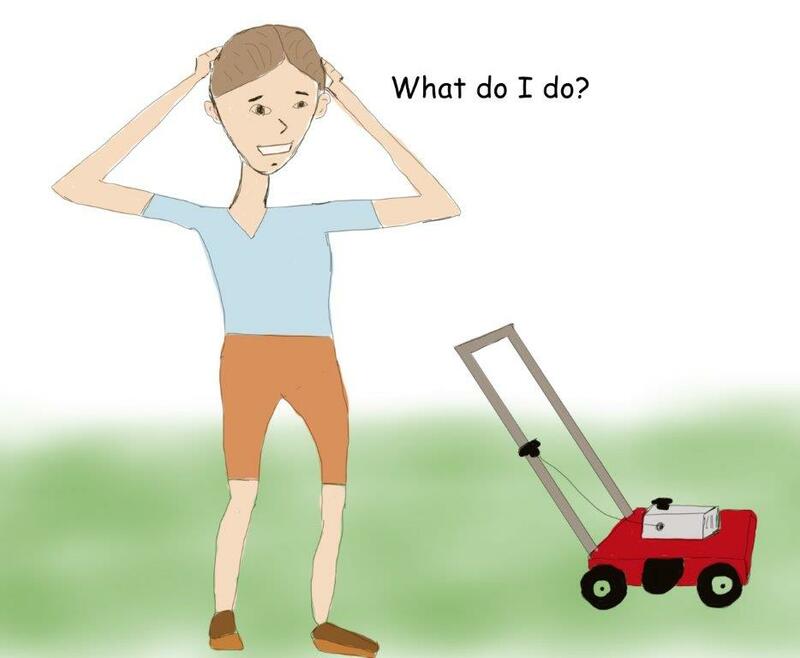 The mower roared to life but the cut looked terrible. A quick stop and look under the machine confirmed my suspicions that the blades had gone dull. Of course, I didn’t have spares so off to the store I went in hopes of getting back quickly. I really wanted that drink. At the store I happened across two of the areas leading experts on lawn care in what seemed like a bit of an argument. Bill was adamant the grass should stay under 3 inches to promote more growth from roots and make a fuller lawn. Gil rebutted this saying the grass should stay over 3 inches so it can absorb more sunlight therefore getting more energy to continue healthy growth. When they saw me listening intently the argument stopped and both asked if I needed something. I said I was here to get new blades but after hearing their robust discussion I wondered if my cut height was proper. That was a bad idea as each sought to convince me their solution was correct. I realized that if the experts can’t agree on how to cut grass anything I do is likely wrong. At this point, I skipped getting the blades, went home and just had that drink. Should I have had such an extreme response to hearing this argument? Probably not. You see this was an example of an Inflation of Conflict fallacy. Ominous sounding name, isn’t it? Good name for a heavy metal band too. This happens when experts or authorities cannot agree on some issue and we decide that no conclusion is possible. You will also see a bit of black and white thinking in here (sometimes called all or nothing thinking) – if we don’t know everything then we know nothing (Jon Snow). Try to choose a diet and you may find yourself caught in this fallacy. Some diets say you should eat nothing but meat and fat and avoid all carbohydrates. Others say the carbs are good but all that fat is bad for you. These are completely opposite, how are we supposed to know what is right. The issue here is that there is no right answer. But we could reach the, somewhat understandable, conclusion that if the expert dieticians can’t tell us what a proper diet is, then none must exist so it’s cheesesteaks for days. The reality is that different diets work for different people and in varied situations. While the dieticians may argue over the proper diet, they do generally agree that some form of healthy eating is a must. There goes my cheesesteak. Climate change is often ensnared in this fallacy especially by those who want to use the fallacy to deny it is happening. There is still disagreement from climate change researchers on how fast the shifts will happen, the extent of the impact or what our possible actions now are. Hearing there is disagreement, some will latch onto it and say that since scientists aren’t in consensus over these items then all research into climate change is questionable and therefore it isn’t happening. The truth is consensus exists that climate change is happening, it’s only these finer points that are still in contention. There are exceptions to this fallacy, some of which I’ve seen firsthand. I know of someone suffering from cataracts (an eye problem) and the doctors are giving two different sets of advice. One says that left alone the cataract will continue growing and impact vision so it should be removed. Another says that removing it will do little to restore lost vision and the surgery could cause complications that are worse than leaving it alone. These medical quandaries are unfortunately not rare. They are, however, cases where this fallacy is not at work. We should not throw out both recommendations but instead consider them carefully for whatever situation we find ourselves in. When you hear experts argue, look closely at what they are arguing about. There is often no need to interpret their lack of agreement as having no conclusions on the subject. It is quite possible they are just taking different approaches on the finer points of something they already think is correct. Do keep in mind those situations where you should consider each experts opinion if it’s a serious enough issue. Knowing all this I should go get those blades and mow the lawn, but of course now it’s raining. Maybe another drink then?